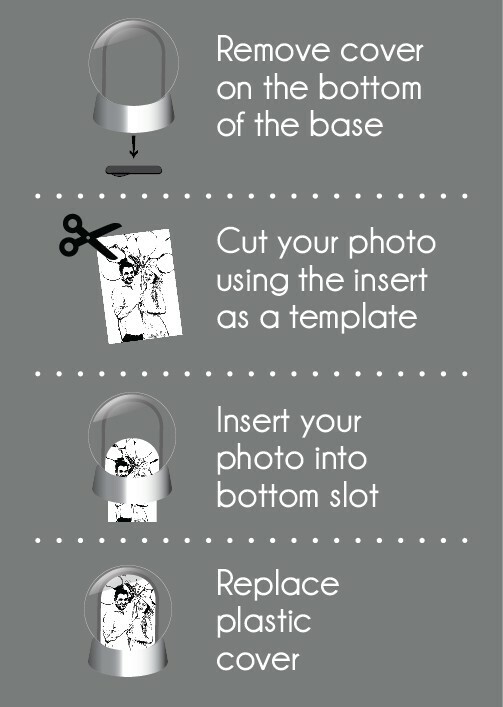 Remove cover on the bottom of the base to insert photos, snap cover back on, and shake! how do you get the bottom off? 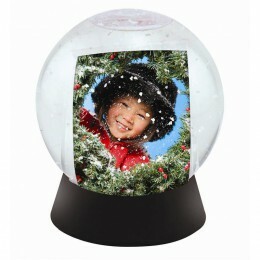 There is a small rubber cover located on the bottom of the snow globe. Just pull it off, slide in your photo, and replace the cover. There is a photo showing the rubber cover removed. How many ounces is the snow globe, worried about carry-on through TSA checkpoint. 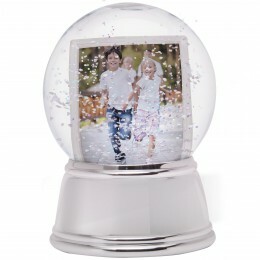 I do not know the exact amount of ounces of water in the photo snow globe. Some people have been able to get them past airport security while others have been stopped (it depends on the TSA agents). How many. Inches is it totally high the small one? 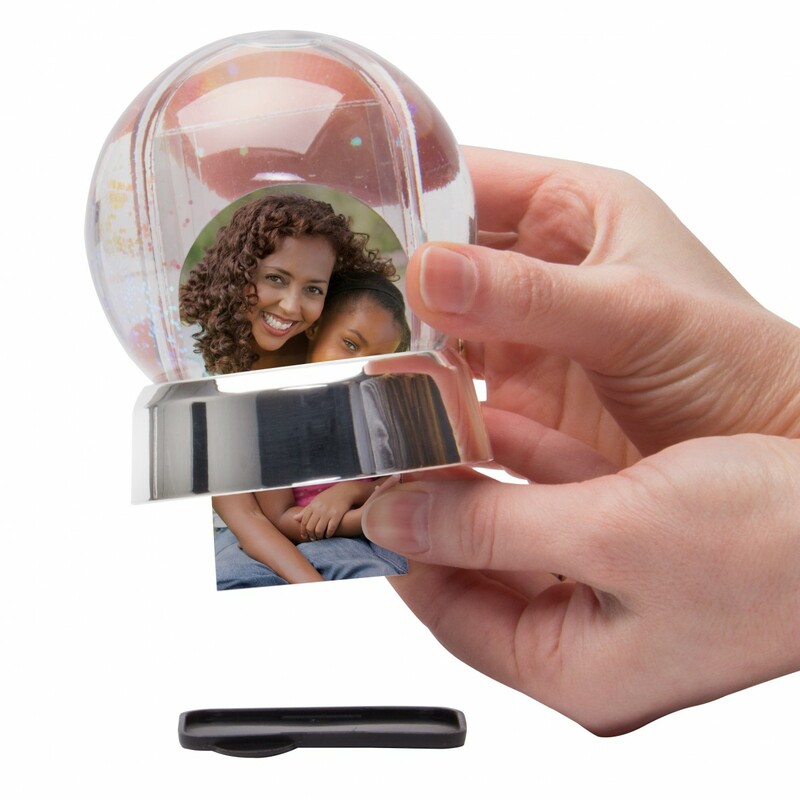 The height of the mini photo snow globe is 4" tall. 1. Are these individually boxed? 2. Can you insert the pictures prior to shipment? 3. Can you add an imprint on the bottom? 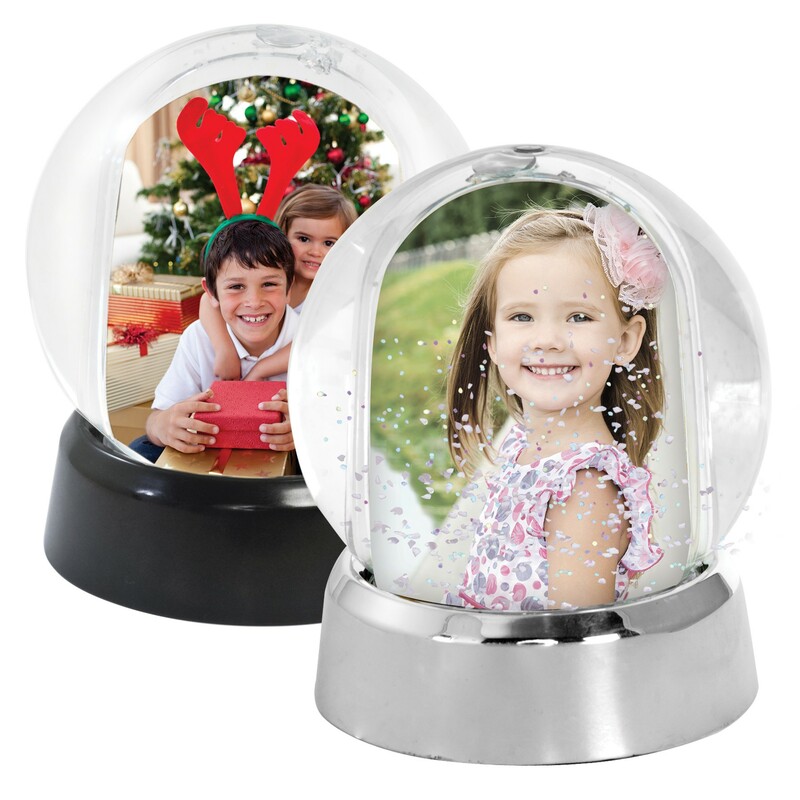 Each snow globe comes packaged in a white box. 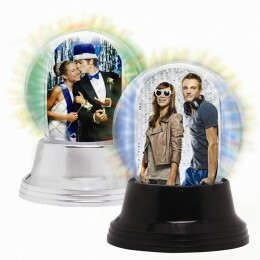 There is an additional charge for both imprinting and for adding in a picture prior to shipping. For more information on the additional charges please give us a call at 800-621-5584. Thanks! what is the weight of the box of 36 snow globes? So how do I open it without scratching it all to heck? There is a small rubber cover located on the bottom of the snow globe. Just pull it off, slide in your photo, and replace the cover. There is a photo above showing the rubber cover removed and there should have been directions located on one side of the photo area. I apologize for the inconvenience. how long do they take to get here? Transit times depend on where you're located. We typically ship within 1 business day from our warehouse outside of Chicago via UPS Ground.